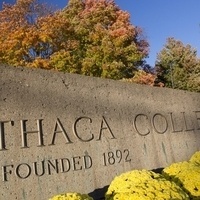 Engage with Ithaca College business and communications students and provide career advice. Enjoy an evening of food, fun and making great connections! Special thank you to Dannible & McKee LLP for sponsoring this event. Attendees are encouraged to invite any Ithaca College alumni or students with an interest in business and communications. Individuals who would like to request accessibility accommodations should contact ccampodonico@ithaca.edu. We ask that requests be made as soon as possible to ensure they can be met.